Sustainable style doesn’t have to mean a neutral color palette and things that are best described as “earthy,” and in a new collection making its debut in April, Ikea is proving just that. Tänkvärd uses on-trend rattan and bold blue patterns to redefine the Swedish retailer’s approach to an eco-friendly lifestyle. 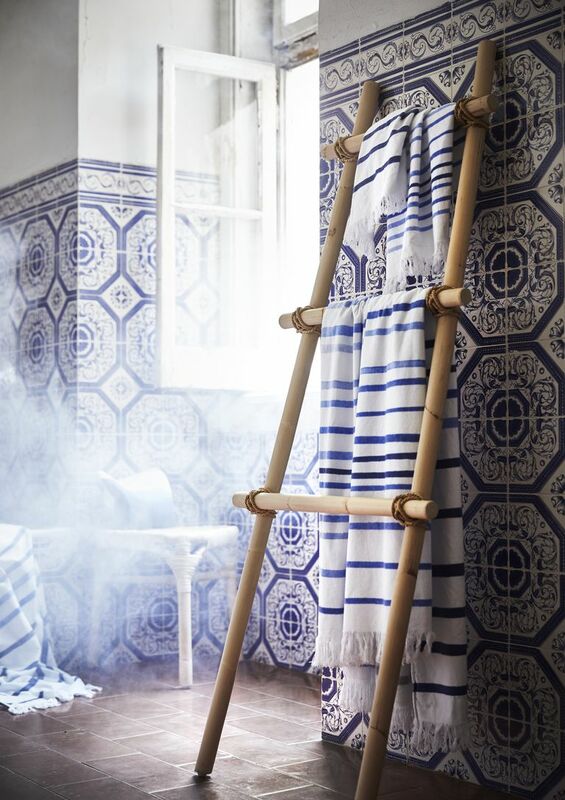 In addition to using sustainable materials like cotton, linen, jute, and seagrass, the collection also includes a number of multipurpose items, like a room divider that also functions as a drying rack. All the items have a handmade, natural feel, too, in spite of being produced for such a major realtor. Accessibility to more sustainable design makes it easier for people to reduce their carbon footprint, and when bigger brands embrace this change, everyone—especially the environment—wins. Tänkvärd will be available for a limited time starting in April, but if anything is clear from Ikea’s sustainability strategy, this is just the beginning of its earth-friendly innovations.